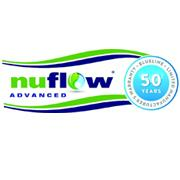 NuFlow Advanced is Melbourne’s leading drain cleaning and commercial plumbing services company offering a comprehensive range of professional plumbing service, including waterways clean-up, blocked drain, grease trap cleaning, water leak detection and leaking roof repairs. With our team of professional and skilled plumbers, we are dedicated to provide high quality and affordable plumbing solutions to our residential, commercial and industrial clients throughout Melbourne. Our innovative methods and state-of-art equipments allow us to quickly locate and clean the blocked drains and waterways in an utmost fast and efficient manner. Our digital camera leak detection method helps us to detect hidden leaks with minimum disturbance to your property. We will always provide you with an honest assessment and will never try to up sell the service that you don’t need. Our dedicated team carries out all plumbing and roof leaks repair, using high quality material to assure that the problem doesn’t arrive back. With no hidden cost and excellent workmanship, NuFlow Advanced is your most trustworthy and reliable plumber in Melbourne. No matter what your plumbing needs, we are always ready to serve you. For a free quote, give us a call.